SAN JOSE, Costa Rica–Starting December 3rd, people traveling abroad from Costa Rica will no longer have to stand in line before taking a flight to pay the Costa Rica departure tax, which is currently $29. From that date, the cost of this tax will be included in airfare said the vice president of the Republic, Ana Helena Chacón. According to Chacon, an agreement was made between the bank, airlines, Immigration and Nationality, airport management, Ministry of Finance and the Costa Rican Tourism Board (ICT) so that tax is included in the airfare. The idea is to simplify procedures and free up people from needing an extra step before boarding their flight. Departure tax in Costa Rica must be paid by everyone each time they leave the country by air and was approved by the Regulatory Law of the Rights, published in La Gaceta No. 205 on October 24, 2002. The rules require that these resources will fund the budget of the Technical Board of Civil Aviation and are exclusively dedicated to the expansion and modernization of airports and airfields in the country. Juan Santamaria International Airport is the second busiest in Central America. This entry was posted in Central American Airports and tagged Costa Rica, Costa Rican Tourism Board, ICT, Juan Santamaria International Airport, San Jose. SAN JOSE, Costa Rica–At 5 in the morning on Tuesday a Boeing 767 flown by the German carrier Condor arrived at Juan Santamaría International Airport outside Costa Rica’s capital for the inauguration of the company’s third weekly flight between Frankfurt and San José. The new flight adds to two weekly flights the carrier operates on Mondays and Thursdays and responds “to a greater demand for European travelers and our reading of the traveling trends to the Costa Rican market,” said Condor Airport Manager Óscar Álvarez. “We have developed an accurate reading pointing at a higher demand from Germany and the entire European community for travel to Costa Rica, which allows us to anticipate the competition in meeting the needs of European tourists and even increasing our export load capacity,” Álvarez added during a welcome ceremony held at the airport. Local tourism officials also greeted travelers with souvenirs, music and folk dances. Costa Rican Tourism Board General Manager Alberto López said the route expansion would help increase the number of European tourists arriving in the country.“Last year alone we registered more than 300,000 arrivals of European travelers, representing a 5.6 percent increase compared to 2012. Germany, Spain, France and the United Kingdom currently are the main market sources of tourists to Costa Rica,” Álvarez said. Rafael Mencia, CEO of AERIS, the company that administrates the Juan Santamaría International Airport terminal, said the German market in 2013 accounted for 18.19 percent of Europeans who arrived in the country, and currently is the main source of tourists from that continent. This year five airlines have announced new flights to the country. Avianca, AeroMéxico, JetBlue, Delta and United will increase flights to the country’s two international airports: Juan Santamaría and Daniel Oduber, in the northwestern province of Guanacaste. Cubana de Aviación will resume a nonstop flight to the island later this month. Also in recent days, Thomson Airways and Southwest Airlines confirmed new flights in 2015, while Turkish Airlines and Viva Colombia currently are in negotiations for opening routes to Costa Rica. 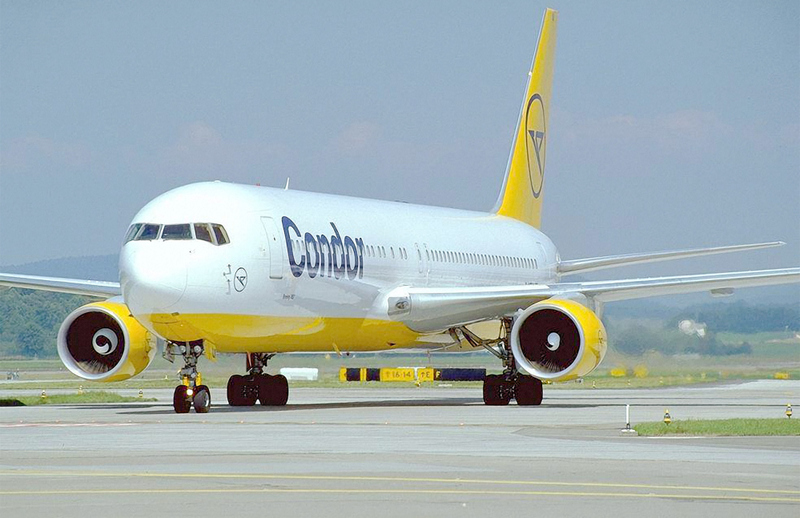 Condor will operate the Boeing 767 for its third flight into Costa Rica. This entry was posted in Costa Rica and tagged Boeing 767-300, Condor Airlines, Frankfurt, Germany, San Jose. SAN JOSE, Costa Rica–Cuban national airline company Cubana de Aviación will offer nonstop flights between Cuba and Costa Rica starting on November 16th, the airline confirmed to Cuban media this week. The carrier dropped the route in August 2008 in order to code share the flight with TACA. But the airline will reopen the flight as part of an objective to boost tourism between the two countries. “We will offer two weekly flights on Thursday and Sunday departing from Havana in the mornings. 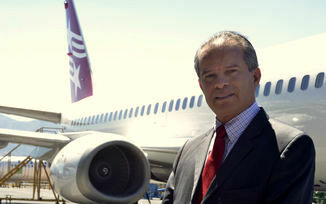 The flights will last two hours and thirty minutes,” said Walfredo Riverón Rodríguez, corporate communications director. Flights will have a capacity of 85 passengers, operated with modern Antonov AN-158. Tickets for the route are already available at travel agencies and on the airline’s website, Riverón said. “The route will offer a great opportunity to expand ties between Central American and Caribbean countries and for developing multi-destination routes in the area,” he added. Data from the Costa Rican Tourism Board showed that only 3,372 travelers visited from Cuba last year. 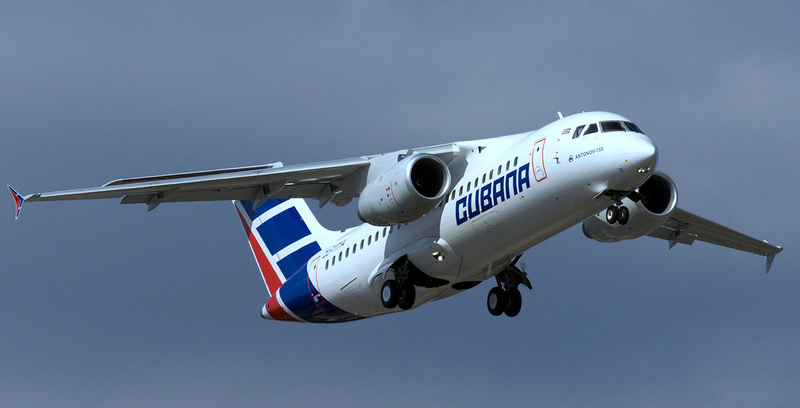 Cubana Airlines will operate AN-158 to San Jose. This entry was posted in Uncategorized and tagged AN-158, Antonov, Antonov An-158, Cubana Airlines, Havana, San Jose. SAN JOSE, Costa Rica–Air Costa Rica is the new brand name of Tica Air according to the Public Registry of the airline, which has launched the second phase of a certificationn process and expects to receive approval from the Directorate General of Civil Aviation within four to six months to operate as an international airline. The first stage of the airline’s plans include starting with charter flights to other countries in the region and then opening international routes to the United States, Nicaragua, Panama City and Colombia. Carlos Víquez, the director responsible for the formation of the airline , told El Financiero (EF) that “Civil Aviation now have 10 days to review the technical information provided, as the legal and financial documents have already been accepted. After that period, the government entity will usually provide a list of differences, for which the company has 30 working days to respond. ” Air Costa Rica is a company whose associates, George Novey and Eduardo Stagg, also own Air Panama. This company has operated since 2006 and has over 300 employees and 18 aircraft. 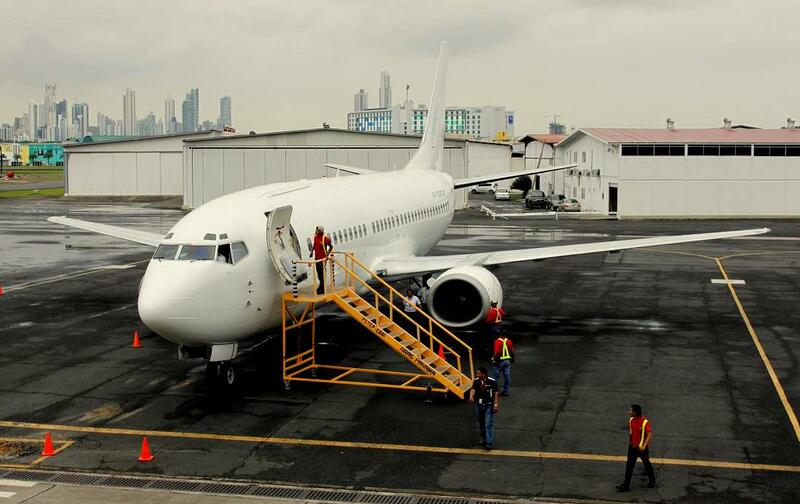 Its core business is domestic flights in Panama and its only international route so far is San Jose. Last February, Stagg informed El Financiero that it was interested in operating a route to Miami from San Jose, taking advantage of the fact that Avianca had left that slot empty after closing the former LACSA hub at Juan Santamaria International Airport. They have also announced flights to Managua, Panama and San Andrés. Air Costa Rica would operate one of the Boeing 737-300s that Air Panama has purchased. At the moment Air Costa Rica seems to be the most probable Costa Rican carrier to start air services as Ticos Air has not been able to take off and has lost momentum. Air Panama has two Boeing 737-300s. One will be used by Air Costa Rica. This entry was posted in Air Panama, Airlines, Costa Rica, Costa Rican Riviera, LACSA, Latin American Airlines, Latin American Airports, Latin American Flag Carriers and tagged Air Costa Rica, Air Panama, Costa Rica, Juan Santamaria International Airport, Liberia, Liberia International Airport, Managua, Miami, San Jose, Tica Air International. CARACAS, Venezuela–President Nicolas Maduro warned airlines not to limit flights in and out of Venezuela, days after Avianca reported was reducing flights to Caracas amid industry complaints of billions of dollars in unpaid debts. “Airlines have no excuse to reduce their flights to Venezuela”, Maduro said during a press conference. “If airlines reduce flights, I will take severe measures.” Airlines have struggled to obtain dollars in exchange for the Bolivar currency as a result of long-running delays in Venezuela’s 11-year-old currency control system. The International Air Transport Association (IATA) this week said that airlines are owed USD $3.7 billion and that some are considering halting service to Venezuela. “If an airline leaves the country, it’s not coming back while we are in government”, Maduro said, casting the airlines’ complaints as part of a wider economic war against his socialist government by political foes and businesses. Maduro also said, however, that his government would pay debts to the airline industry. Avianca Holdings, operator of Colombia’s biggest airline, on Thursday told travel agents it will cut flights between the countries’ capitals to one day from three as of March 20th. Avianca will suspend flights between Caracas and San Jose, Costa Rica, as part of an effort “to match supply to market needs” and reduce the number of seats available between Caracas and Lima. The company’s Chief Executive said that currency controls hade made it difficul to bring revenue worrth about USD$300 million out of Venezuela. German airline Lufthansa said this month its 2013 financial results took a double-digit million euro hit from payment issues in Venezuela. Maduro said that various airlines around the world were ready to step in and cover any unfilled routes. “They’re asking permission to cover flights to Colombia, Panama, Central and South America”, he said without giving more details. 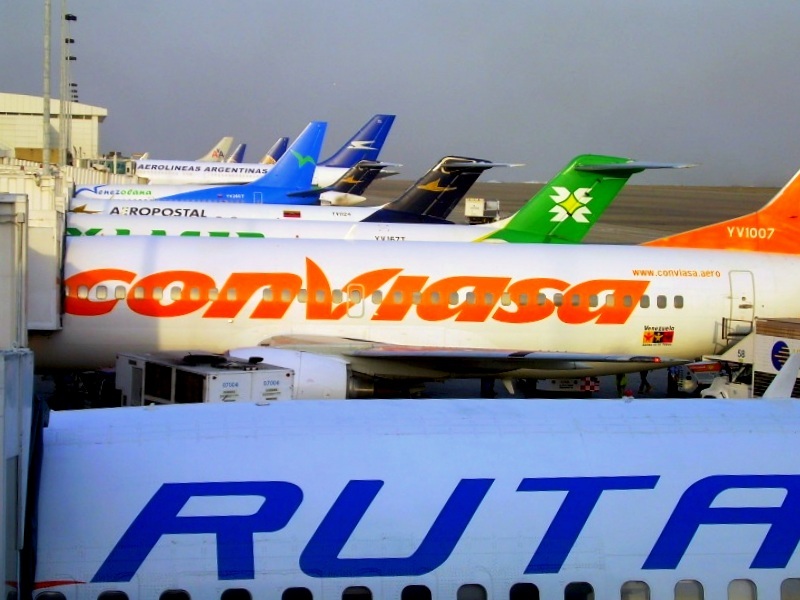 Venezuelan state-run air carrier CONVIASA is expected to take over several routes like the Caracas-San Jose run. Venezuelan president warns airlines not to cut flights. This entry was posted in Airlines, Avianca, Caracas, Colombia, Costa Rica, Latin American Airlines, Latin American Airports, Latin American Flag Carriers, Venezuela and tagged Avianca, Bogota, Caracas, CONVIASA, IATA, Lima, Lufthansa, Nicolas Maduro, San Jose. SAN JOSE, Costa Rica–Avianca informed on March 12th, it will suspend its San Jose-Caracas-San Jose route effective April 7th. The route has been operated by LACSA since the seventies when the service connected San Jose with the Venezuelan capital with stops in Panama City, Barranquilla and Maracaibo. When LACSA was purchased by Salvadorian TACA International Airlines, the route was changed to a non-stop flight between the two capitals. 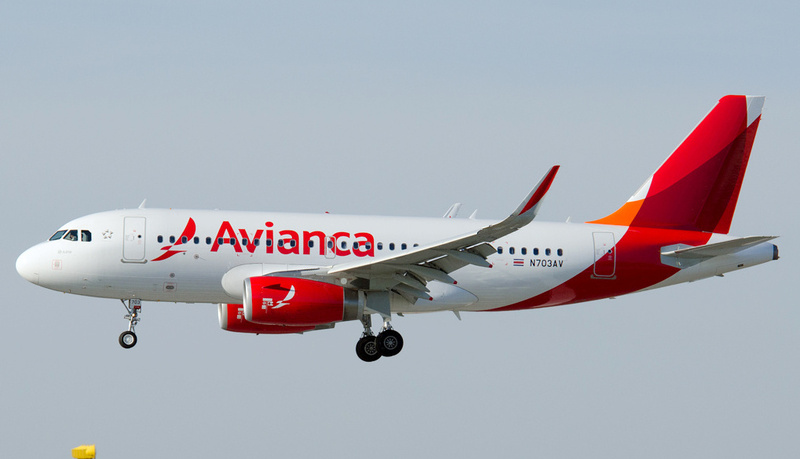 Last May Avianca (the Colombian flag carrier that purchased 70% of Grupo TACA) decided to shut down the former LACSA’s hub at Juan Santamaria International Airport in San Jose, cancelling the non-stop flights to New York-JFK, Los Angeles, Monterrey, Havana, Quito and Guayaquil. The next route to be cancelled was San Jose-Miami and now “adios Caracas”. Costa Ricans will be forced now to fly via Bogota using the Avianca services or Panama City with COPA Airlines. It is now expected the Costa Rican government and AERIS (the private company that manages the Juan Santamaria International Airport) will request Venezuelan flag carrier CONVIASA to take the route. April 7th will be Avianca’s last flight bewteen San Jose and Caracas. This entry was posted in Airlines, Avianca, Caracas, Costa Rica, Juan Santamaria International Airport, LACSA, Venezuela and tagged Avianca, Caracas, Grupo TACA, LACSA, San Jose, TACA. Carlos Viquez is the representative of Tica Air International. SAN JOSE, Costa Rica–The main stockholders of Air Panama, George Novey and Eduardo Stagg have now invested in Costa Rican start-up Tica Air International. Carlos Viquez, the representative of the Costa Rican airline informed that Air Panama will transfer one of its Boeing 737-300 to the start-up for the opening of the route San Jose-Miami (that was abandoned in January by Avianca). “Costa Rica has always been a good place to invest and now more than ever with Avianca’s departure of several non-stop markets” said Eduardo Stagg, CEO of Air Panama. Viquez informed that it is expected for Tica Air International to start operations by December 2014. TAI is the second airline project in Costa Rica, after Gino Renzi’s Ticos Air. Alvaro Vargas, the Civil Aviation board (DGAC) director informed that Ticos Air still has not been able to move to the third phase of its certification, since it has not presented any of the 5 Airbus A-319s that Gino Renzi advised the airline would operate. Rumors in Costa Rica are that Ticos Air still has not been able to secure investors for the project. The advantage that TAI would have is the economic support from Air Panama, the second biggest and most important airline in Panama, that also operates flights to San Jose with a jet Fokker 100. “The idea is that both airlines should grow together, using scale economies”, conmmented Eduardo Stagg. Tica Air International is expected to open flights to Managua, David, Bocas del Toro and San Andres. This entry was posted in Air Panama, Airline Alliances, Airlines, Avianca, Central American Airports, Central American Domestic Airlines, Costa Rica, Panama, TACA, Uncategorized and tagged Air Panama, Avianca, Bocas del Toro, David, Panama, San Andres, San Jose, TACA International Airlines, Tica Air International, TICOS Air.